We are now just under two weeks away from the premiere of the third season of Fox's hit Batman prequel series, Gotham. The first two seasons of the show explored Gotham City's criminal underworld, Bruce Wayne's investigation into the murder of his parents, and the origins of some of Batman's greatest adversaries. The second season finale ended with a bang, with a literal busload of potential villains escaping Hugo Strange's Indian Hill, and now roaming the streets of Gotham. New villains confirmed to appear in the third seasons include, Solomon Grundy, Killer Croc (in proto-form), and Mad Hatter (who will be played by The Walking Dead's Benedict Samuel). While the new characters set to appear are exciting, Gotham's recently released synopsis has made it clear that we will be seeing familiar faces in new places as well. Jim Gordon (played by Ben McKenzie) will be operating out of Gotham as a bounty-hunter, while Bruce Wayne will have to deal with his mystery doppelganger, all while the Mad Hatter is set to play a prominent role. Another returning character who is set to continue evolving is Jim Gordon's ex-girlfriend, Barbara Kean (played by Erin Richards). Kean has been one of the least stable characters on the show, with her personality constantly changing. She has gone from seemingly down to earth, caring girlfriend, to criminally insane, and everything in between. And now it seems she will be taking a very active role in Gotham's criminal underworld, by managing a new nightclub called The Sirens. Richards recently spoke with Comic Book during a set visit, where she discussed Barbara's role in the upcoming season of Gotham, and the significance of The Sirens. Richards hinted at a bigger role for Barbara Kean in season three, explaining that, "Because of the club that we have, we're much more integral to the running of Gotham City and its sort of underworld. So she's kind of owning her space a bit more, which is fantastic." Of course, Barbara Kean is not the sole owner of The Sirens. Rather, she opens the club with Theo Galavan's sister, Tabitha (played by Jessica Lucas). During the set visit, Richards also discussed Barbara's relationship with Tabitha. "It’s a sort of mutual respect, and also sort of a slight battle for who is in power," explains Richards. "I think if you ask Barbara, she’d say she’s the head of the Sirens, but if you ask Tabitha the same thing, she’d say the same. So it’s good, this playful rivalry." 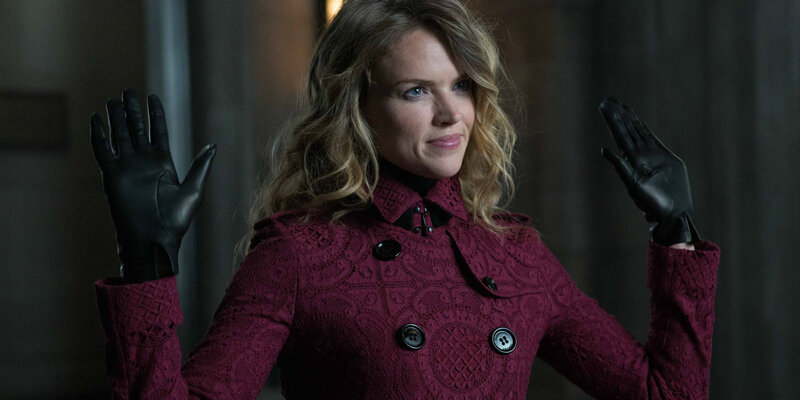 Barbara Kean has certainly been one of the more intriguing characters on Gotham, so it will be interesting to see her playing a more prominent role in the upcoming season. At times it has appeared like the minds behind the show weren't entirely sure where to go with Barbara. There was a point in the second season where fans felt that there was a possibility that Barbara would go on to become Harley Quinn (largely due to her interactions with Jerome), or possibly even a female Joker. Now, it looks like Barbara Kean will have a solid storyline of her own, and it will be exciting to see how it all plays out. Of course, the third season will be jam packed with villains, and will also have to keep tabs on Gordon and Wayne, so we'll have to wait and see how large a role Kean actually plays. But we won't have to wait long. Gotham season three premieres on 19th September on Fox.